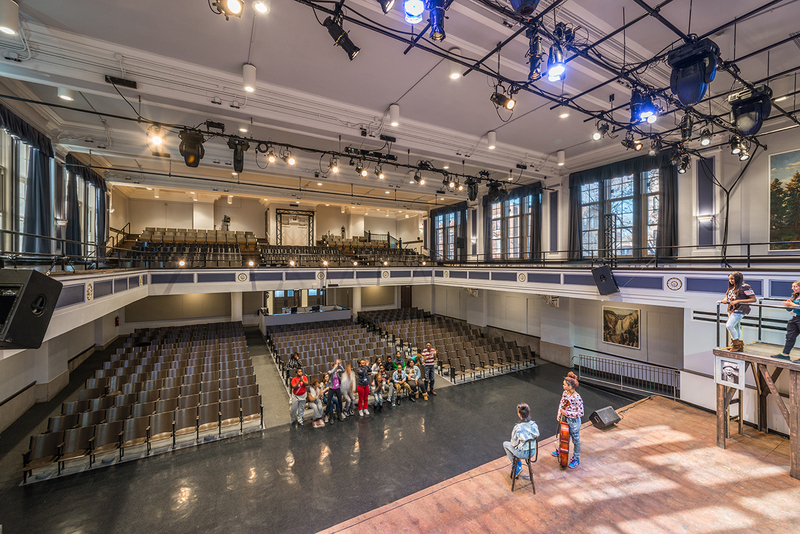 In 2014, KOO completed a transformative renovation of the century-old, 170,000 square foot Lafayette Elementary School. 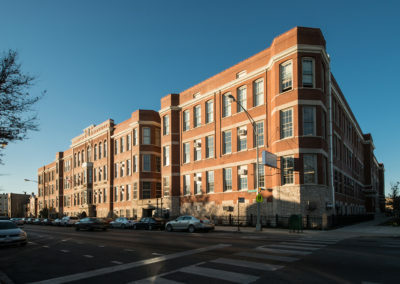 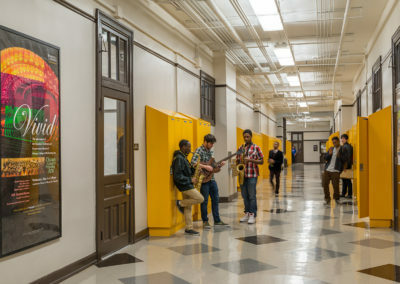 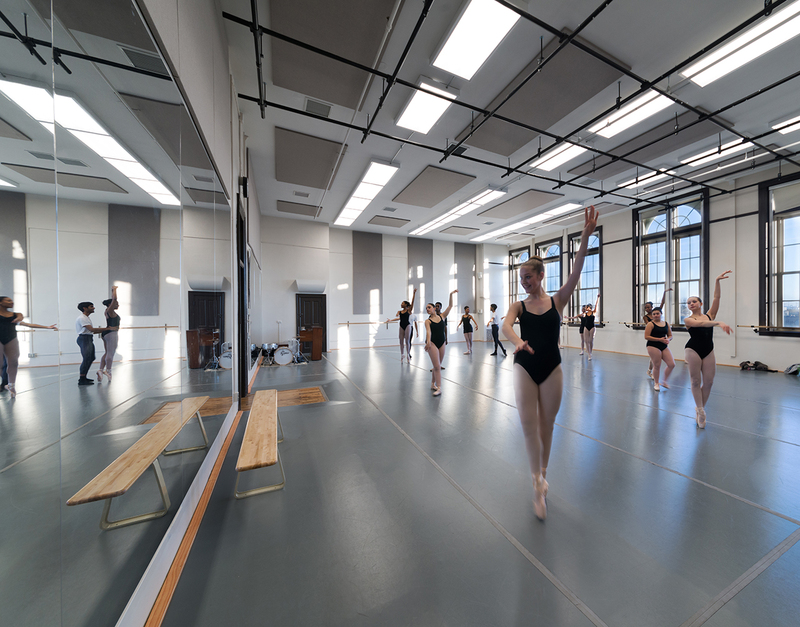 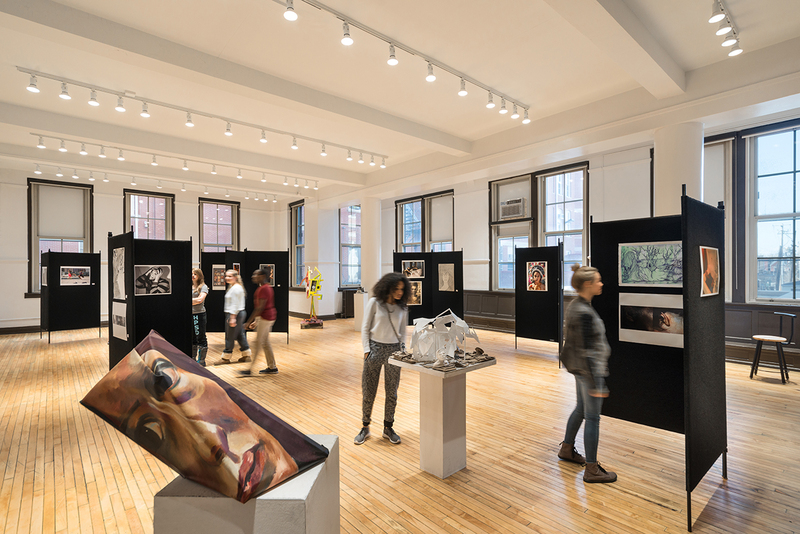 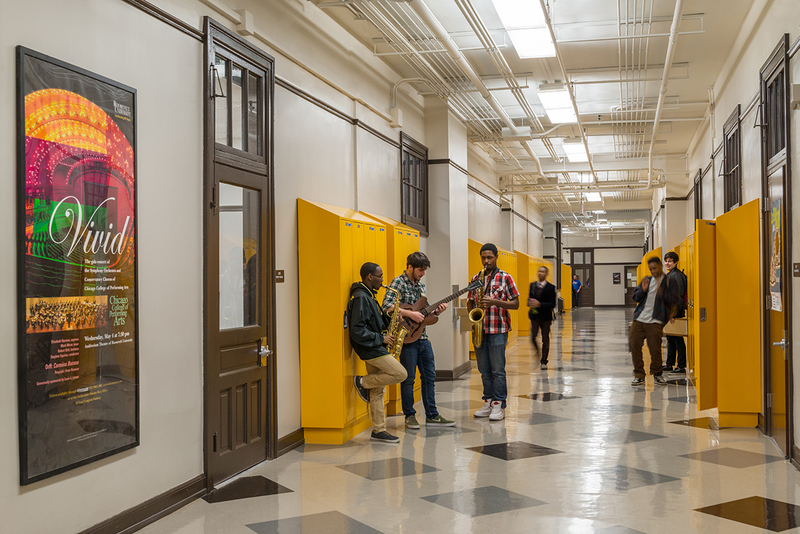 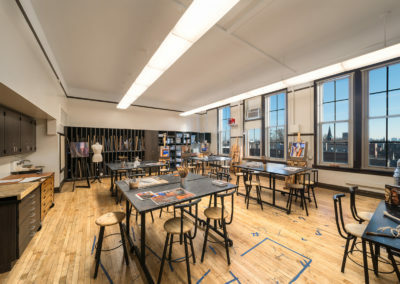 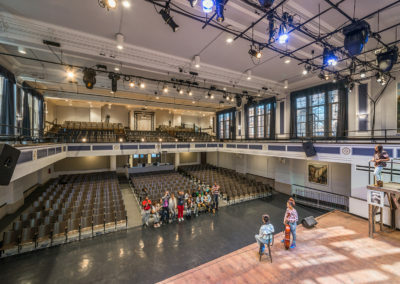 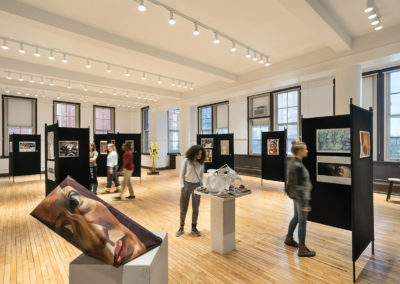 Located in the Humboldt Park neighborhood of Chicago, the Chicago High School for the Arts (ChiArts) moved into their new home complete with a multitude of spaces for their unique curriculum. 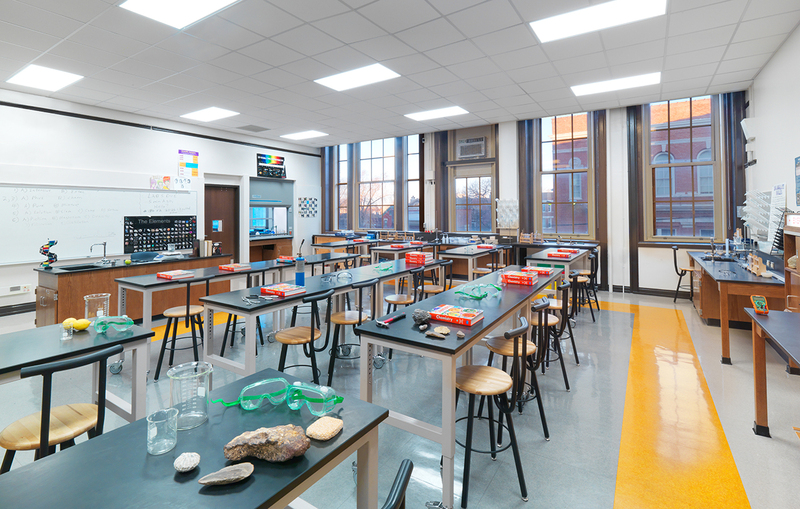 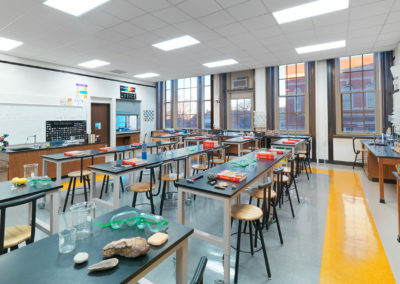 New dance, music, visual arts, science labs, computer lab, and writing classrooms were included in the renovation. The interior design hews to the building’s historic character, but is punctuated by pops of color inspired by ChiArts graphic Identity. 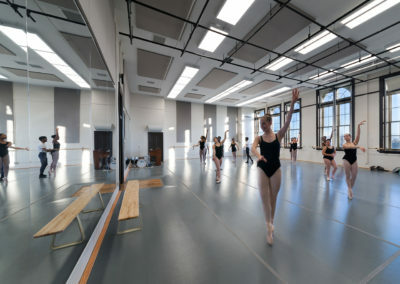 It adds a new black box theater in the former gymnasium space, a major facelift for the auditorium, four new science labs, seven dance studios, seven art studios, an art gallery, 16 music classrooms, six practice rooms, a large ensemble room, new administrative spaces, a kitchen renovation, major masonry renovations, and ADA upgrades, including a new elevator. 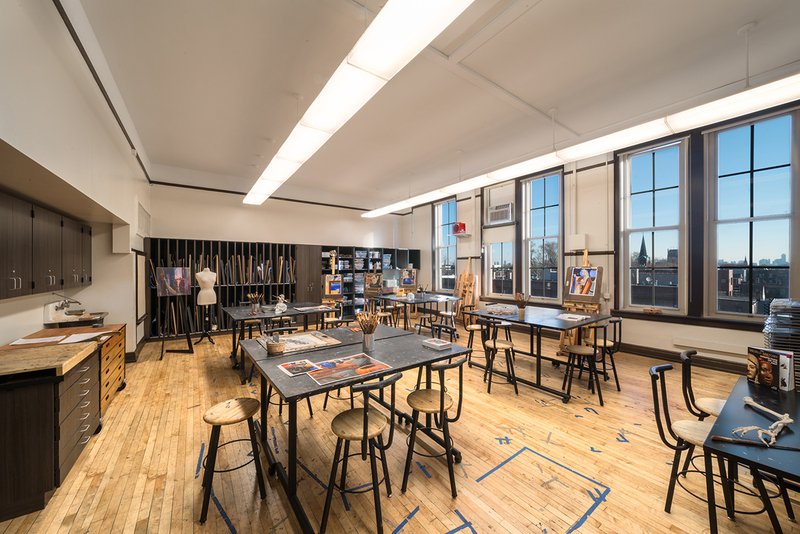 Light and bright, these spaces now inspire creativity and art making.